In short, a backflow preventer is put in place to protect our drinking water supply, ensuring that contaminates don’t enter the public supply. A backflow preventer keeps water from backing up into the supply line via a one-way valve. In other words, it only allows water to flow in one direction. 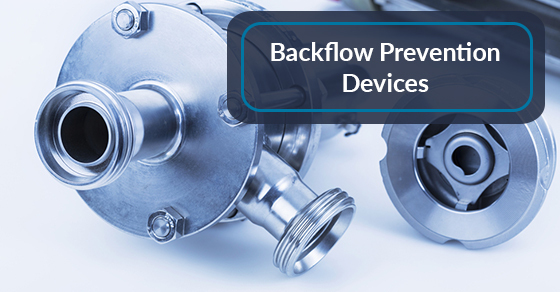 Backflow, for all intents and purposes, is the reversal of normal water flow. It is the result of two events: back pressure, which occurs when your property’s water pressure is greater than the city’s, as well as back siphonage. Back siphonage is the exact opposite of back pressure. The city introduced regulation that states all commercial properties must install backflow preventers. These are also available for large residential properties, and can be implemented by the City of Toronto. There are many other different kinds of backflow preventers, but one of the most common is the ball check valve type. A ball, slightly bigger than the diameter of the supply line, is responsible for blocking the supply line. The ball is connected to a spring that maintains its position. When water enters from the supply line side, the water pressure forces the ball from the opening and allows water to enter the valve and then into the pipe. In terms of preventing water from entering the supply line, this is how it works: The ball remains in its closed position when there is no water pressure in the supply line. It’s really that simple. If water is moving from both directions, whatever side has the most water pressure will win out. Again, always ensure that your backflow preventer is working by testing it every year. It’s important to note that backflow prevention devices are just now being installed into commercial properties. If you are in need of first-rate professional plumbing services, contact our team of experts at Brothers Plumbing today. We are one of Toronto’s leading plumbing service providers, with over 50 years in the industry, and highly affordable rates.